We just read a disturbing story of two dugongs, mother and child, that were kept on a chain in a little cage in shallow waters in Indonesia to be presented to eager tourists who could enter the cage for taking pictures with these endangered animals (selfie mania: stick to yourself!). Luckily two tourists not only refused to fall for this “attraction” and explained the status of these protected animals to the fisherman who caught and kept them, but also alerted wildlife authorities who freed them in the end (read full story on The Dodo). It’s easy to blame the fisherman for imprisoning these gentle creatures, but truth is as long as there is a demand there will be a market. (That’s why the US war on drugs can’t be won by oppressing the producers in other countries, but that’s another story.) 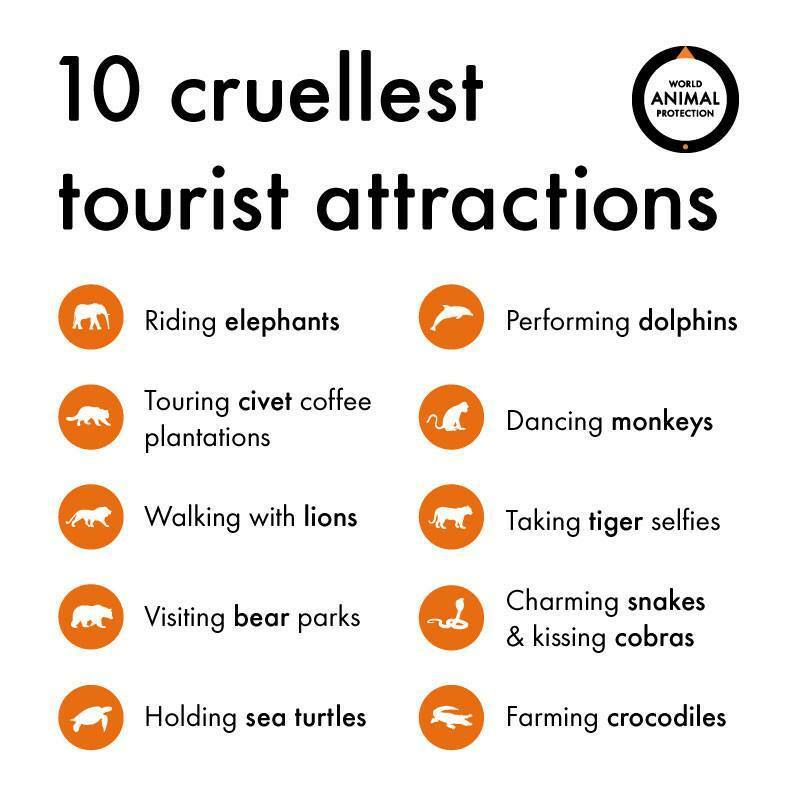 Therefore everybody: Please, be aware of the so-called tourist attractions that involve animals. Not always is the abuse as obvious as with a dugong on a chain in a cage. In Bali we were constantly offered an island tour that included a stop for a very special coffee: kopi luwak. Ripe coffee cherries are eaten by the civet cat. While the pulp is digested the bean stays intact. Collected from the poo – actually here I wasn’t interested anymore – the beans are further processed. With so many tourists on Bali and all the tours offering this particular stop you can imagine how much poo has to be collected – every day. Instead of crawling through the bushes it’s much easier to catch a civet and forth fed coffee sherries to produce high quantities. Apparently all over South East Asia and for an international market… Tony Wild presented in The Guardian not only the development of this market, but also discussed a sustainable way of producing kopi luwak: Stay wild! Same goes for other animal attractions worldwide. There are very destructive and harmful ways and alternatives that can support local livelihoods and protect animal and their habitats in a truly sustainable way. We will put together some additional posting regarding tarsiers and whale sharks in the Philippines (to be linked soon). But sometimes the only solution is: Stay away (like Boycott Seaworld)! For all divers and snorkelers it should be clear already: Don’t touch, don’t hold, don’t harass or chase (also not with that camera on a stick! ).